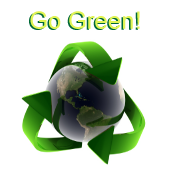 We are proud to be a "Go Green" business. We have the most trusted and reliable services for your destruction of materials containing business data or personal information such as hard drives, etc. Victory Electronics wants your new or used electronic equipment. We purchase many different types of electronic equipment and can make you an offer based on fair market value right away. From small office removal, to large scale company take-outs, no load is too big. We also purchase all office equipment. You'll be surprised at how many different types of equipment we purchase.